How to make iru/daddawa/ogiri using soya beans, i had the opportunity of learning how to make daddawa also known as iru or ogiri at the village during my last visit and it took us 5 days to complete the process with my very intelligent old grand ma. -fry soya beans till slightly change color to red. -pour into a mortar and pound lightly to remove the chaff. -pour into a tray and blow chaff away (local method of removing chaff). -pour into a big bowl, add water to cover up and allow for a day. -in the morning wash very well pour into a pot and cook /boil on high heat for like 1 to 2 hrs while boiling add potash to make it even soft. -drain in a colander And allow to cool down completely. – pour into a tray and sun dry completely. -now pour into a rice sack/bag and secure tight with a rope. -allow to ferment in a warm environment for 2 days. 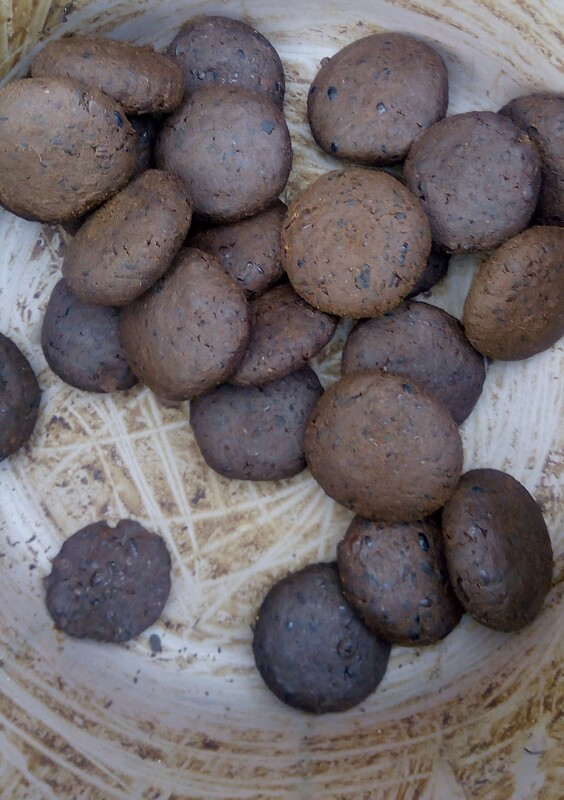 -after 2 days pour into a mortar again and pound. -pour on a tray and sundry for 2 days. -After 2 days bring out and mix properly with ur hands. Mix very well. Allow to stay over night and pound again in the morning and make desired shapes. Keep using while you keep sun drying.